A newsroom which produces seven weekly newspapers is set to operate with four fewer staff as part of a regional publisher’s planned cuts. Newsquest has confirmed up to six roles could be made redundant at its Stourbridge centre, with two new audience and content editor positions also being created at the same time. The planned cuts will affect the Kidderminster Shuttle, Stourbridge News, Halesowen News, Dudley News, Bromsgrove Advertiser, Redditch/Alcester Advertiser and Droitwich Advertiser. Additionally, HTFP understands Newsquest plans to make the roles of head of sport and photo technician redundant at the Bournemouth Echo. 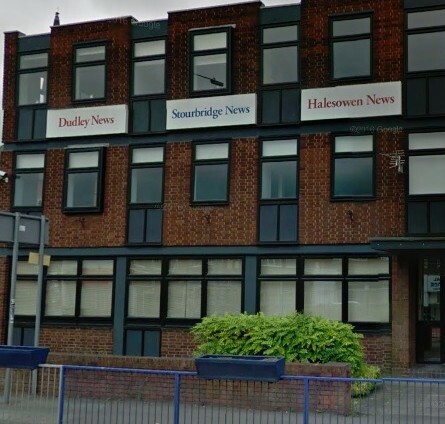 News of the latest proposals comes after HTFP revealed up to 10 editorial jobs have been put at risk of redundancy by Newsquest in Essex, Oxfordshire and Wiltshire, while the company’s Trowbridge centre, home to the Wiltshire Gazette & Herald and the Wiltshire Times, could also shut. HTFP has asked Newsquest whether any further redundancy proposals or consultations are taking place across the country but the company has not so far responded to this question. Commenting on the Stourbridge job losses, a spokesman said: “We continue to look at ways to work more efficiently in order to ensure our titles have a sustainable future. “A review of the Stourbridge editorial department, if implemented, would lead to a net loss of four roles. The National Union of Journalists says its local chapel in Stourbridge is “assessing the potential alternatives available that could replace the company’s existing plan”. The union has also claimed three senior reporters working in Stourbridge, out of a total of eight, have already given their notice and will be leaving the company in the coming weeks, while a second apprentice is set to be taken on there. Chris Morley, NUJ senior national organiser, said: “Newsquest newsrooms are staggering from one set of redundancies to the next with legitimate questions arising around the safety of heaping ever-increasing workloads and stress on remaining staff. “The NUJ locally and nationally have continuously pressed to see Newsquest’s formal risk assessments when carrying out these cuts but has been met with a wall of silence. “A responsible employer should have no problem about making this information available to show that lukewarm management reassurances about taking the health and safety of employees seriously can be matched with the reality for journalists at work. Sad to say – and I am sad about this – it seems the NUJ can do little to halt the latest waves of redundancies. Newsquest will of course put up ‘a wall of silence’ when it comes to any questions it doesn’t particularly want to answer. The fact is that employers can pretty much do what they want under the guise of ensuring that their publications continue to survive. The rapidly dwindling remaining employees will be worked to a nub until the whole thing collapses. I wouldn’t be too surprised that digital staff are being shed, Mr Morley. That’s been happening pretty much everywhere as all the major companies realise they have messed up on the new age by not getting on the boat quickly enough.